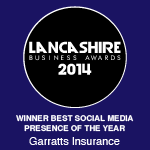 The Garratts Insurance family history has a continuous tradition of insurance broking dating back to 1877, when Benjamin Disraeli was the prime minister and George Garratt opened our first premises on Fishergate, Preston. In the early 1900s, Francis Garratt took over the family business, followed by Charles Garratt in 1933. From there, John Garratt – who still works with us as a consultant – took over as managing director of Garratt, Son & Flowerdew, a subsidiary of Garratts Insurance that continues today as our specialist ‘Brokers broker’ division. In 2001, Richard Garratt took over the helm and, alongside co-director John Grindley, has driven recent expansion. 2004 saw the acquisition of new premises on Camden Place, off Winckley Square, in the heart of Preston’s business district. This enabled us to invest further in the development of our people and technology, resulting in enhanced service delivery plus a broader range and complexity of products and services. Our relationship with numerous local, national and international insurance companies continues to thrive with new associations forged in countries such as France, Spain, Scandinavia and the Netherlands. 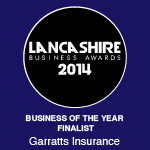 With more than 140 years of unparalleled personalised, professional service behind us, Garratts Insurance Brokers continues to insure the past, present and future.